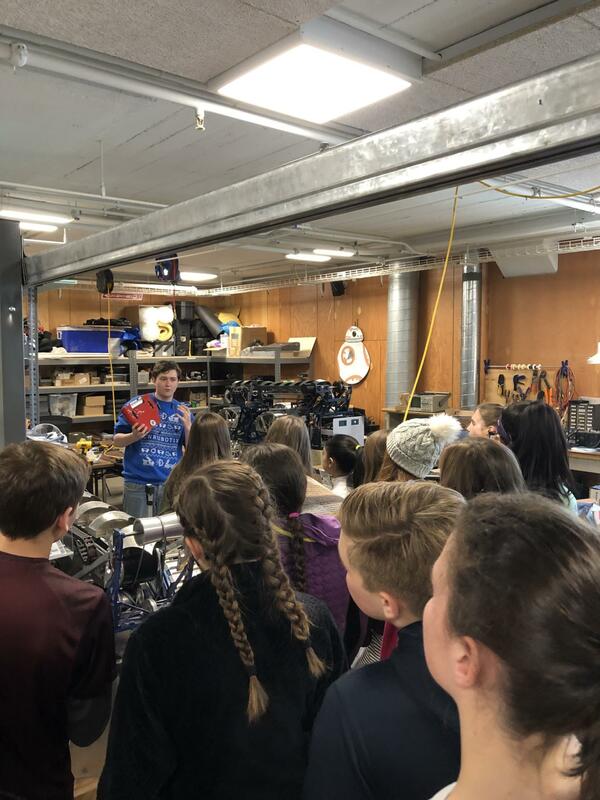 ROCKY RIVER, Ohio – Rocky River Middle School (RRMS) teachers Chandra Juhasz, Don MacDonald and Dave Opdycke recently collaborated on a trip to Case Western Reserve University (CWRU) with 25 middle school students who are inspired by STEM careers. The trip gave students a chance to see different career options they could go explore in the future. Students who were interested in taking the trip were given a series of prompts to respond to before choosing one and writing an essay about the topic. The three teachers graded every essay and averaged the scores to select the top-25 scoring candidates. 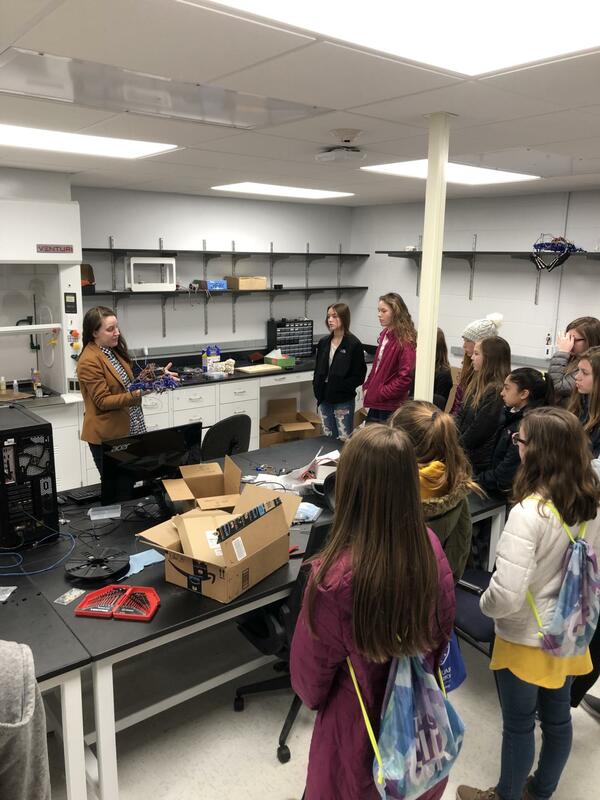 While at CWRU, the group visited the biologically inspired robotics labs and a molecular biology lab. They spoke to a professor and learned more about the path she took to get where she is today. 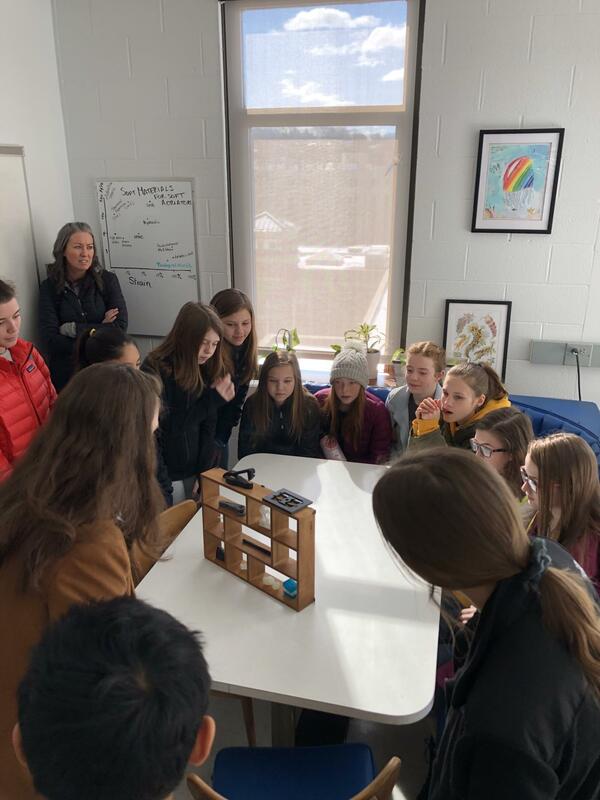 The group also ate lunch on campus and spent the afternoon in the Think[box], which is CWRU’s maker space. It is the largest maker space at a college or university in the world. While there, they met with members of CWRU’s baja/dune buggy racing team, the robotics team and the rocket team.